In just a few short years, Seraphic Fire’s annual performances of Handel’s Messiah have become a South Florida Christmas tradition. Patrick Dupre Quigley and his remarkable choir returned, with the Firebird Chamber Orchestra, to this Baroque masterpiece Saturday night at the Arsht Center before a large and unusually attentive audience. Quigley’s compact, ninety-minute version features most of the Nativity portion with a generous selection of highlights from Parts II and III. More importantly, the performances of the chorus, instrumental ensemble and soloists were in a class of their own, a felicitous meeting of scholarly Baroque authenticity and superb artistry and musicianship. 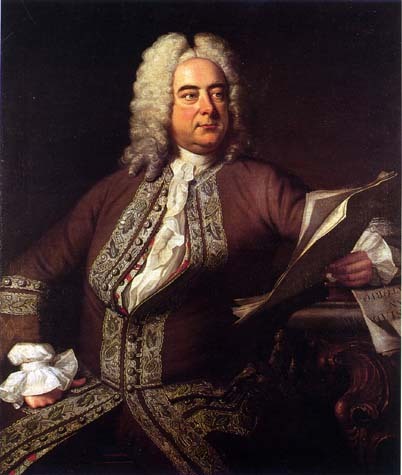 Quigley’s lithe, buoyant leadership radiated the joy and life-affirming force in every bar of Handel’s music. Choral and orchestral textures were clearly articulated and transparent, largely devoid of vibrato. A wealth of contrapuntal detail and inner voices that are lost in less accurate, more mundane performances were clearly audible. The precision, blending of choral sonorities and scrupulous attention to musical values of this choir remain awesome. Quigley’s crisp, freshly scrubbed version was a vivid demonstration of period performance practice at its best without any of the mannerisms that can weight down more indulgent early music performances. A plethora of Seraphic Fire members took turns doing the solo honors in the arias and recitatives. Baritone Graham Fandrei superbly conquered the rapidfire coloratura roulades of Why do the nations, bringing flexibility and tonal warmth down to the lowest vocal depths. Reginald Mobley’s pure, clear countertenor was at its finest in O thou tellest good tidings to Zion, notable also for his elaborate and inventive ornamentation. The ease of Carolina Castells’ light soprano encompassed the joyous exhalation of Rejoice greatly, and Julia Mintzer unfurled a plush mezzo in a dramatic, almost operatic rendition of But who may abide. The richness and depth of Misty Bermudez’s Thou art gone up on high soared in emphatic, passionate tones. But thou didst not leave His soul in hell, usually sung by a tenor, was rendered with refreshing simplicity and bright timbre by soprano Rebecca Duren. The sheer beauty and sincerity that soprano Jennifer Paulino brought to I know that my Redeemer liveth would be hard to equal. Zachary Wilder’s noble, Mozartean tenor did full expressive justice to Comfort ye and Every valley. Only tenor Bryon Grohman seemed slightly overtaxed, exuding some strain in Thou shall break them. The performance reached its summit in Quigley’s masterful delineation of the concluding chorus Worthy is the Lamb and the final triumphant Amen, the vocal and instrumental forces alighting in outbursts of joy, delivered with explosive energy at full throttle. After repeated curtain calls, Quigley repeated the famous Hallelujah chorus, drawing wonderful contrasts of dynamics with a final acceleration of tempo in the concluding bars. For sheer high spirits and a fine sense of Baroque style, this Seraphic Fire Messiah would be hard to surpass. Seraphic Fire repeats Handel’s Messiah 4 p.m. Sunday at All Saints Episcopal Church in Ft. Lauderdale. 305-285-9060, seraphicfire.org.